Archive for GeGeGe no Kitarou. Well, she's not THAT tall. There are just a lot of short characters. I don't know very much about yokai or Japanese fairy tales in general. In fact, probably most of what I know comes from that one episode of Azumanga Daioh. Oh, and I guess I've gleaned enough from other anime over the years to become racist toward kappas. Good job, School Rumble. In comes GeGeGe no Kitarou, a family show about yokai. Because it's heavily aimed at children, it also provides a lot of background and explanations about the various monsters of the week and their traditional lore. Hence, I get to learn along with the young audiences about yokai and how they might fit in the modern world. 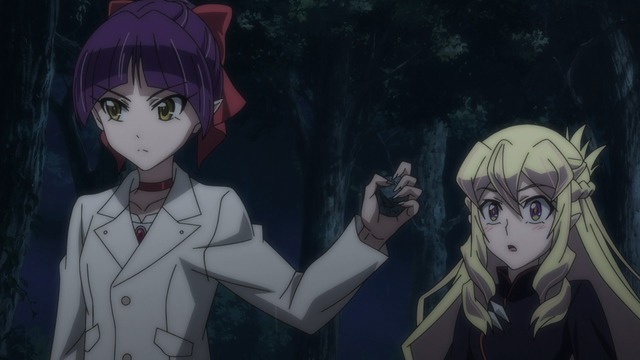 As far as the anime's other merits go, it's reasonably well done and I enjoy Sawashiro Miyuki as Kitarou. It's a good enough show that I'm still interested week-to-week, but I can't claim I'm at all in the target audience demographic. 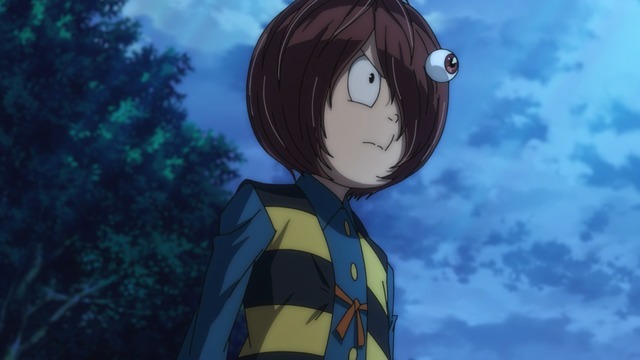 I do have to admit that I only started watching because of all the attention GeGeGe no Kitarou received before the season started due to the radical changes it made to one of the supporting character's designs. Originally known as Hakaba Kitarou, the franchise began in the '60s as a manga series and has appeared on television every decade since. 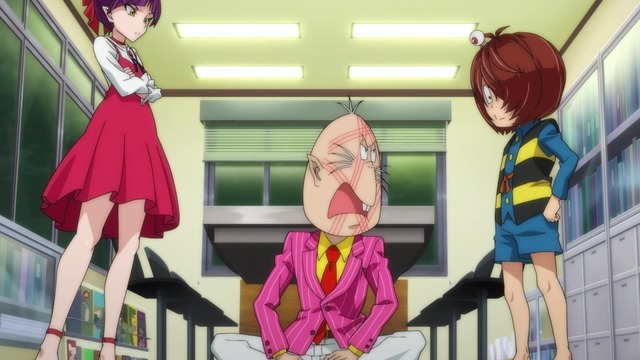 The character design for Neko Musume has evolved each time around. However, her appearance in the 2018 iteration is entirely unrecognizable compared to her original form. It's a good hook, and I'm okay with shows making these types of changes from time to time, even if it means making a shrimpy character really tall and giving her legs that go up to her neck. Neither of these two have binocular vision. I saw an announcement about the next GeGeGe no Kitarou ED planned for January. I guess this means the show will be continuing through at least the Winter 2019 anime season, giving it a yearlong run. More, if it continues after that uninterrupted. I'm mostly content to continue watching it as long as there are new episodes. It's been a reliably good family show through the 35 episodes I've seen, and I can appreciate it for its decades-spanning impact. Hey, she's wearing a different outfit. For a show with so much history, it's unexpectedly eager to challenge certain subjects I'm not accustomed to encountering in anime. Notably, there was an episode concerning World War II that spoke directly to an apparent failure in the current education system to adequately cover Japan's roles in the war. Then there's the current major arc involving foreign yokai (some of whom were outright refugees) and the different receptions they face, from sympathy to outright hostility as both xenophobia as well as some understandably unwelcome foreign yokai behavior created flashpoints not unlike contemporary real-world events and concerns. Or perhaps it's because GeGeGe no Kitarou has so much history and is such an established part of the anime landscape that it has greater latitude to address these topics.